If you are a prospective home buyer, you must be aware of closing fee kickback schemes and know how to avoid them. In recent months, federal investigators have broken up several kickback rings. These are scams that are easy for crooked real estate insiders to perpetuate on unwitting victims. If you are a prospective home buyer, you must be aware of these schemes and know how to avoid them. Escrow closing fee kickback scams are fairly sophisticated. In one such scheme, real estate agents created a corporation that bought an interest in a title insurance and escrow company. A group of corrupt home builders created the same type of corporation and also bought a partial interest in the escrow company. The realtors and builders then referred their clients to their own title companies. The title companies then returned or, as we like to say, kicked back portions of the title and settlement fees to the crooked realtors and builders. This is not some made up story. This information was provided by the Department of Housing and Urban Development (HUD). As if kickbacks aren’t bad enough, there are also issues with title companies marking up closing fees. Although the vast majority of realtors, builders, escrow companies and title companies are ethical, there is a large enough occurrence of this type of fraud to make HUD take notice. HUD receives hundreds of complaints regarding alleged kickback schemes every year. The investigations of these allegations are conducted by HUD’s real estate settlement oversight unit. When HUD cracks a case, the perpetrators are usually willing to settle with the government to close the case. Failure to disclose settlement costs. A HUD-1 settlement sheet must be provided prior to closing. Many closing agents will provide this form well in advance of closing. Some, unfortunately, will not even provide the form at all. Intentionally underestimating settlement costs. This is the mortgage equivalent of a bait and switch. You shop around looking for the best combination of mortgage product, including interest rate, points, fees, etc. Some mortgage brokers will intentionally advertise lower fees to get your business and then slyly increase the fees at closing. This happens a lot, so be vigilant in scrutinizing your closing fees on the settlement statement. Fee markups for various real estate services. 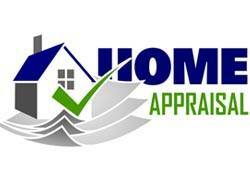 Lenders are not allowed to take a profit for services such as appraisals, credit reports, etc. Unfortunately, they often do just that. There is an exception that allows a lender to charge a premium, but only if extra services are provided to justify the increase. Inflated title fees and kickbacks to the lender. This is the most rampant form of fraud involving real estate closings. Title insurance premiums vary in price from company to company. Title insurance policies are underwritten by large national insurers. When a borrower pays title insurance, only a small portion is used to pay that premium. Most of the title insurance fee is retained by the local title insurance company to cover overhead and profit. This is legal. What is illegal is a title agent kicking back (returning) a portion of the fee to realtors or lenders who referred the business. When you purchase a home, the closing agent is required to provide you with a copy of a HUD-1 settlement form. This form should be sent well in advance of the closing date. Insist on receiving a copy of this form. Make sure that you know all of the settlement fees before the fact. Don’t settle for a “ballpark” number. Get a schedule of all the fees. Good faith estimates should disclose these fees and reputable mortgage brokers should stand by them. Ask them for a guarantee. If they won’t give one, consider another lender. Believe it or not, you are allowed to question any fees associated with your loan. When people get loans, they are going through an unfamiliar process. The professionals involved in the process do loans for a living. They should have not problem explaining or providing a reasonable justification for all of the fees being charged. If you suspect that you are getting scammed, report it. As we noted before, HUD has a special unit to investigate illegal kickback schemes. Contact HUD at www.hud.gov.